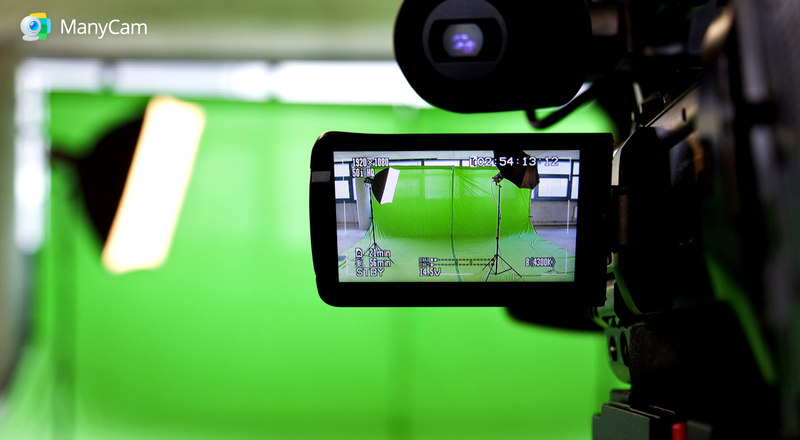 In this article, you will learn exactly what Chroma Key is and why you should use this effect. 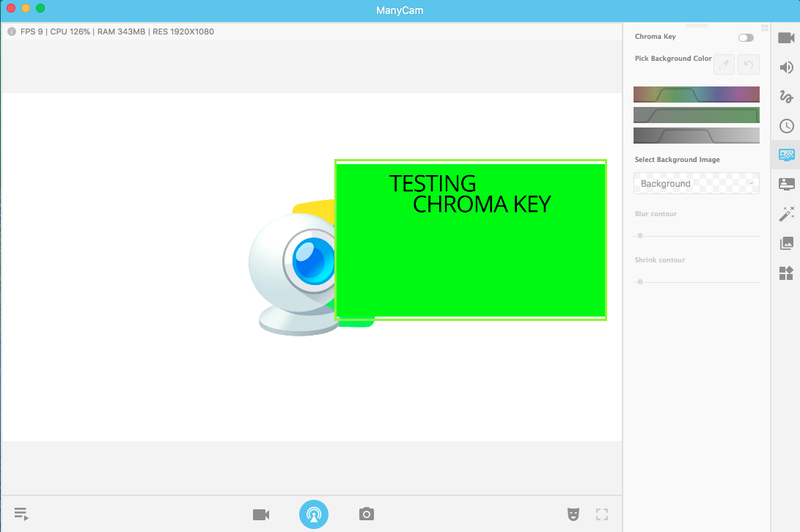 We’ve put together a few ideas and a tutorial on how to use Chroma Key. Chroma Key, also known as Green Screen, is a visual effect of layering or compositing 2 images together by using color. Chroma keying is heavily used in post-production of movies, TV shows and news, music videos, YouTube videos, etc. This technology has come a long way and is now accessible (with decent quality) to everyone and not just Hollywood’s big productions. 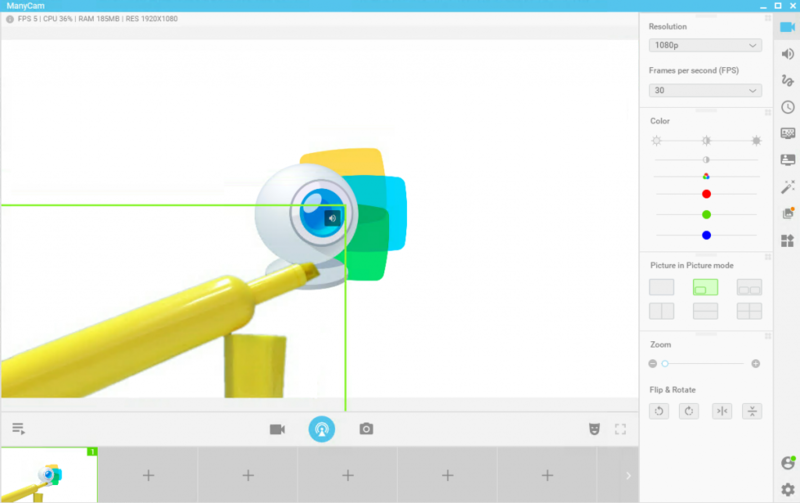 Now, we can use it on Live Videos, just like the weather reporter on the news, and get good results with it. But, why should we use Green Screen for Live Videos? If you decide to set up a green screen, you will need to find a place to do so. Maybe a small room around your house that no one uses it, the attic, or the basement. It doesn’t really matter. The important thing is, you’ll be able to control the environment. For instance, if you were recording outside, you’d depend on the weather, people around, noise, time etc. But in your “studio” you control the temperature, the noise, the lighting, everything. The second-best thing in this situation is, you’d have your own little studio. 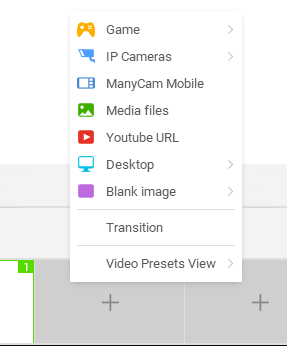 Which means, you won’t need to set it all up every time you want to make a video. It will already be there, waiting for you. You might need to make some adjustments every now and then, but the fact that the main elements are there will save you a ton of time. The most common, and probably useful way this visual effect is applied during live streams is as a background replacement. The presenter stands in front of the green background, and the video software replaces it with whatever has been chosen, such as an image of a forest. Or you can pick realistic images of offices, classrooms, anything really. Just make sure you have good lighting, for the Chroma keying to work at its best. It’s also good to keep in mind that the background shouldn’t be distracting, otherwise your viewers will lose focus. Another effective way to use Chroma Key is showcasing physical products. It brings all the attention to your product and you can choose a background that makes it stand out. A great application of the Chroma Key effect is to create visual effects. Although it requires a more technical and professional approach, there might be a couple of things for all of us to do. For example, if your outfit is green, close enough to the green screen color, you can become a floating head. This can also be applied to objects or anything. You can play around with different background images and the objects you use as props. Your live stream will come to live and become much more interesting. This effect is applicable on most things. Here we applied it to an image along with the Picture in Picture feature. 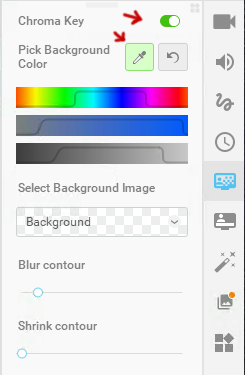 If you have a chat that goes on during your live stream, you can remove the background and place it on your screen, just like we did with the image above. In reality, the backdrop can have any color because you can use an eyedropper to pick the color you want to make transparent. The bright green is used because it’s very distinct from skin tones and not easily found in objects. For example, if you have a red backdrop and a red jacket, it will all disappear together. Before you activate the Green Screen feature, you’ll need to click on the scene (video source) that you want to use Chroma Key on. On our case, we want to apply the effect on our mobile camera, which is already connected. 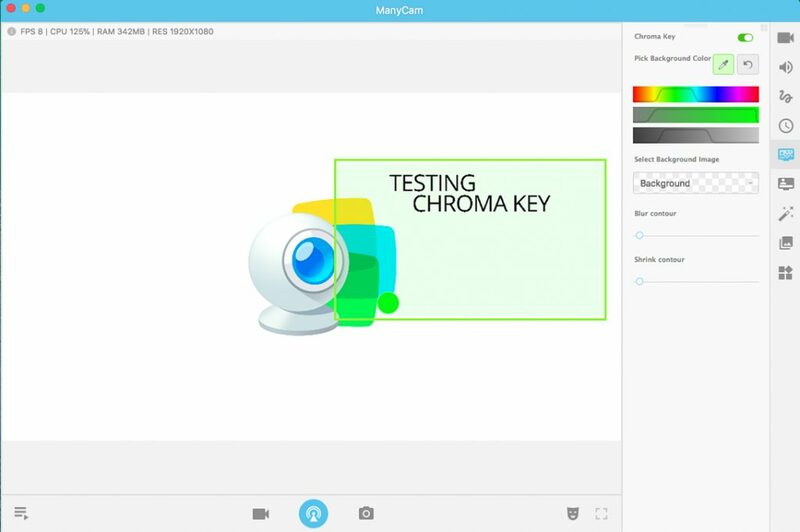 Learn more about connecting your mobile to ManyCam on this YouTube Video. Our scene in this case is a marker on a Blue Screen. Once we selected the scene, we can go to the right panel and find the Chroma Key feature. Here, we are able to activate or deactivate the application of the green screen at any time. We also have the eyedropper to pick the color that should be transparent. After picking the color, you can adjust with the controls to make sure your Chroma keying is as good as possible. 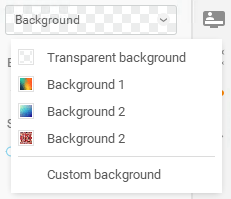 Now you can pick a new background for your scene, choosing between transparent, a few images or your own images. 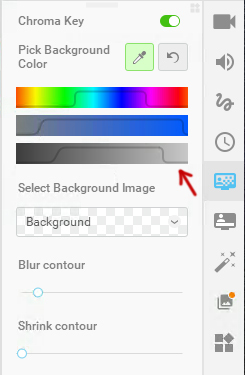 To add images, simply click on the “Custom Image” option, and pick one from your folders. You also have the ability to control the contour of the selection that is going to be visible, by blurring or shrinking the contour. This can help you fine-tune your effect. 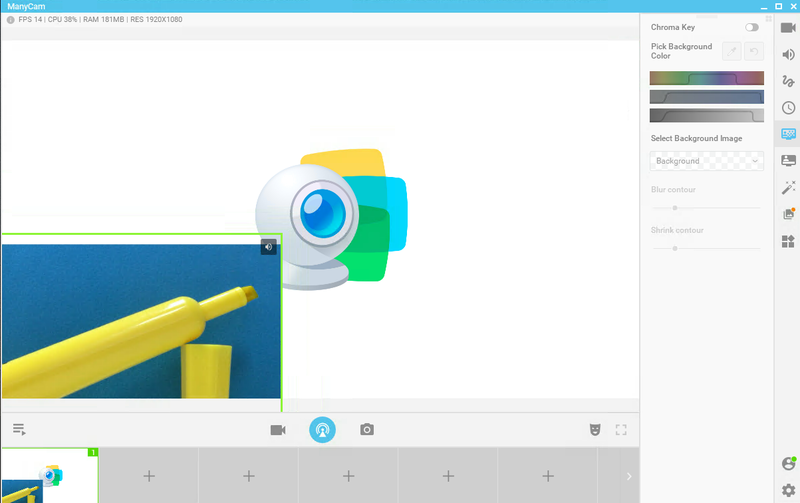 With this feature, you’ll be able to create interesting and engaging live streaming videos. What are your ideas for using the Green Screen feature? If you haven’t got ManyCam 6 yet, download it here.